Is Wyoming frontier prison haunted? The first piece of Wyoming frontier prison was laid in 1888 though it did not open its gates for another 13 years after this. Due to various legalities and funding issues the prisons construction was delayed a number of times until it finally received the funding to be completed. Made from local sandstone and containing 104 cells, The first inmates arrived in December 1901. In 1902 the first women arrived and were housed in a separate cell block from the male inmates. 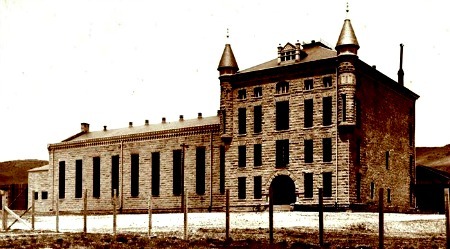 With an additional 32 cells being built in 1904 to accommodate the increasing numbers into the states prison systems. The female convicts were only housed her until 1909 when they were moved to an institution in Colorado and since then it operated as a male only facility for its remaining days as a prison. Various expansions were added over the years, including the addition of solitary confinement cells in 1950, and 36 maximum security cells in 1966. In 1980 prisoners were relocated to a more modern facility close by and the prison finally closed in 1981. It reopened in 1987 as a museum and remains as such to this day. Well worth a visit it holds some interesting features and holds tours around the empty prison. Buildings which have seen a lot of death or suffering normally have a ghost story or 2, and this place is no exception. The building is thought to be quite actively haunted with many independent witnesses capturing things on camera. The whole prison has seen various forms of paranormal activity throughout but the hot spots seem to be the shower, the gas chamber and general death row area and a few specific cells, one of which the museum hung the artwork of the cells inhabitants on the wall, which really doesn't help the creepy atmosphere. The shower is probably the most active with tales of crying coming from it when people are approaching, only to find the area empty on arrival. Wet footprints have also been found here, which is especially odd since the showers haven't been operational for quite a few years. 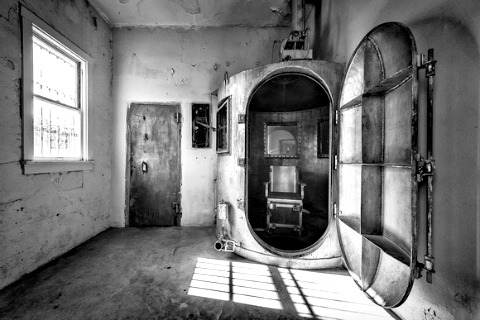 Paranormal encounters can be had anywhere in the prison, though the tour guide will point out specific hot spot cells, with tales of an inmate being brutally beaten and hung, only to not die and then be beaten and hung a second time. There are all kinds of strange noises coming from empty areas and tales of apparitions disappearing round corners and into empty rooms. If you are even in the area of Rawlins it is definitely worth a visit.